We’ve all had one of those pivotal experiences, a snippet in time that changes the course of your life forever. Just over ten years ago, a schoolboy from Leeds had one of those very moments. Along with swarms of other children, Matthew Lewis walked into a Leeds’ hotel hoping to land a walk on role in a new film about a boy wizard. A decade and eight Harry Potter films later, looking back, the Leeds’ lad, now known to millions around the world as his HP character Neville Longbottom, could never have imagined that such a magical journey was about to take place. Making his mark in cinema history as a major player in the highest grossing film franchise of all time, and let’s not forget that spellbinding transformation from Hogwarts’ geek to red carpet chic. VQ’s Carolyn Nicoll just had to conjure up an encounter, to find out more about celluloid sorcery, sharp suits and scrambled eggs………..
It’s been half of your life and all of your teenage years, but now the final Harry Potter film Harry Potter and the Deathly Hallows: Part 2 has been released and you’ve finished the globe trotting promotional tour. That’s it! How does it feel? Very strange! I’ve had so much fun over the years with all the filming, then there was three weeks of promotion and premieres in different cities across Canada, the USA, Australia and of course England. As well as, appearing in the touring Agatha Christie play Verdict. It’s been pretty exhausting, but wonderful, especially as my character Neville had such a crucial role in the final film. Tell me how you first got the part of Neville Longbottom in the very first Harry Potter film Harry Potter and the Philosopher's Stone? It was an open audition at the Queens Hotel in Leeds. I just wanted to be involved in some way and hoped I may be lucky enough to get a walk on part. Usually when auditioning for TV you hear within a couple of days if you’re successful, so when the call didn’t come through I thought ‘better luck next time’. Then two months later the phone rang and I was asked if I’d like to go to London to meet the Director Christopher Columbus and audition for the role of Neville Longbottom. It was exciting stuff! I knew all about Neville, as I’d read the books. So I went for the audition and I got the part. 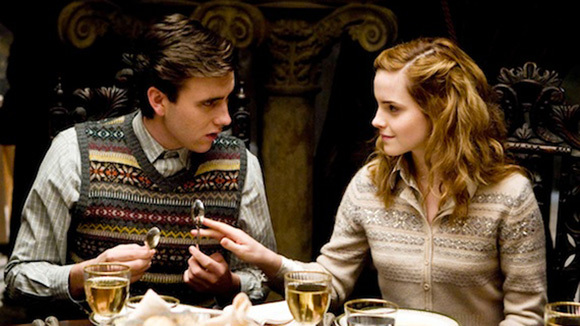 Were you a big Harry Potter fan before you got the part of Neville Longbottom? I loved Harry Potter when I was at Primary School and I’d read the first four books that had been published at that time. I’d even said to my Mum ‘if they ever make a film of these books please take me to see it’. You had to go through quite a lot over the years to get the Neville look? Yes, false teeth, shoes two sizes too big, prosthetics behind my ears to make them stick out and a fat suit. So how long did all that take in hair, makeup and costume? It was only about an hour. I could just step into the zip up fat suit, clip in the teeth, get the ears done, have the hair plastered down and I was ready to go. In the last film though it was double the time with all the blood prosthetics that needed applying. Neville’s journey through all the films saw him develop from the boy who couldn’t even ride a broomstick, without breaking a bone, to the absolute hero in Harry Potter and the Deathly Hallows: Part 2? It felt very special. I’ve loved being a part of all the films, but Neville was just so involved and such a crucial role in the final one. It was absolutely tremendous. Neville started at Hogwarts as a shy, vulnerable, bullied boy who was scared of his own shadow and not great at magic, but he grew into this incredibly inspiring character. I’ve even been getting letters from children who have been bullied at school and they’ve realised that because of Neville and his story, things can work out well. Jo (JK Rowling) is fantastic, and she’s given out such a great message through Neville. I really feel that it’s the best role I could have hoped for. What are the things you most remember about being part of the Harry Potter experience? One particular moment that really sticks in my mind, is talking to actress Imelda Staunton (Dolores Umbridge) about scrambled eggs! We were on the Harry Potter set and I mentioned that when I’m in a rush I cook scrambled eggs in a microwave. Imelda was appalled at the thought of anyone cooking scrambled eggs in this way, and then Alan Rickman came over and said “They’re actually quite nice”. I had to step back for a moment and just look at them. I couldn’t believe that I was having a conversation with such hugely famous and incredibly talented and successful actors about scrambled eggs! I hear you nearly killed a group of children with the Gryffindor sword? It was terrifying. The sword flew out of my hand and I could see it approaching some of the children who were playing extra parts. I shouted to warn them but no one could hear me, as explosions were happening on set. I seriously thought I’d killed one of them, but when I went over, I was so relieved that it had landed in the middle on the floor and had not hurt anyone. Who are you particularly close to from the cast? It’s such a friendly cast and crew, but if I had to name names I’d say Dan (Daniel Radcliffe/Harry Potter), Rupert (Grint/Ron Weasley) and Tom (Felton/Draco Malfoy). I was close to Dan and Rupert right from the early days and those very first few weeks of filming. We went to Sheffield to watch wrestling and Producer David Heyman took the three of us to McDonald’s afterwards for something to eat. I have a photo of us and it always makes me think that we just couldn’t have done that as time went on. It was the calm before the storm. In the last five years, I’ve become really good friends with Tom. We’d sit and play guitar together. What was it like working with some of Britain’s finest actors? I am so inspired by Alan Rickman. His talent is unbelievable, the way he becomes Professor Snape with such ease. There are so many great performances from various actors in the films, but Alan’s in Harry Potter and the Deathly Hallows: Part 2, for me was THE performance of all of them. I don’t usually get emotionally involved but watching him is just fantastic. You also got to work with one of your childhood heroes Rik Mayall in Harry Potter and the Philosopher's Stone? I have two older brothers and we always watched Bottom and The Young Ones, I just love Rik Mayall, he’s hilarious. I never thought I’d get to meet him and then unbelievably I walked in for the first Harry Potter read through and got sat next to him. He was cast as Poltergeist Peeves and he made me laugh so much. He’s exactly as you’d expect him to be. Unfortunately his part was cut in the final edit, as 4 hours of film had been shot and it had to be shortened. It was probably our fault, as the kids on set just couldn’t stop laughing at him. It wasn’t always ‘as much fun’ with actress Helena Bonham Carter? (Laughs) Helena plays Bellatrix Lestrange and in The Order of The Phoenix she sticks a wand in my ear. It was a busy day on the shoot with lots happening. A huge explosion went off on set, I jumped one way and Helena jumped another and ouch, there was a pop and the most horrendous pain. The look you see on my face isn’t acting, it’s real, but it worked on camera. I had to have painkillers for a ruptured ear drum and I couldn’t hear anything for a few days in that ear. How was it filming such a dramatic confrontational scene with Ralph Fiennes (Lord Voldemort) in the final film? Ralph stared at me really menacingly prior to filming. I still to this day don’t know if he did it on purpose, to build up for the scene or not. It was certainly all very dramatic. Imagine the hair, the nose and him just glaring, as if he was looking into my soul. It was all very unnerving. I smiled at him but he wouldn’t smile back. I was scared. At the end of filming he came over, shook my hand and said ‘that was great’ and immediately all the tension disappeared. What was it like growing up in Leeds? I went to St Mary’s Catholic School in Menston, Leeds and I’m still really close to my school friends. They’re just normal about the Harry Potter stuff, asking how it went when I got back from filming and then that would be it, we’d just get on with it. They’re really not into the fame thing, they’re just my good mates. There’s been a lot of talent that has come out of St Mary’s School. The actor Christian Cooke (Cemetery Junction, The Promise) was in the year above me, my brother Anthony Lewis is an actor and he’s been in lots of things including Emmerdale, there’s also Aidy (Aiden) White who plays for Leeds United, Yorkshire cricketer Joe Sayers and the Kaiser Chiefs. I was always taken along with my brother Anthony to local acting classes and auditions. He was in Heartbeat as a child, and I just thought that was what everyone did. For years I nagged my brother’s agent to send me for an audition. She sent me to one for experience but thought I was too young to get it, but I got it, in Some Kind of Life. That led to parts in Dalziel and Pascoe, Where The Heart Is and Heartbeat. How did your brother feel when you got the part of Neville Longbottom in the Harry Potter films? Both my brothers were really proud. We’re all in the business. My other brother Chris is an editor on lots of different TV programmes including Britain’s Got Talent. When not working, what would be a typical weekend for Matthew Lewis? Watching Leeds Rhinos and Leeds United. Spending lots of time with family and friends. Playing football and cricket in the park. I love music and like to play my guitar and write. I used to be in a local band called The Transmission, playing rhythm guitar but I had to step down when I was so busy with Harry Potter. It’s nice to still see the guys though. My friend Christopher Stocks is a great singer/songwriter, and one day we might do a cover band in the Leeds area for a bit of fun. At the moment though I’m really focussing on my acting career. How much has Leeds changed since your childhood? There was the boom a few years ago that has taken it from an industrial city to a really modernised, cosmopolitan place. It’s a nice city to live, it’s great both day and night. Leeds still retains that Yorkshire charm and hasn’t got too big like London or Manchester. I think it’s got the balance right. There are so many reasons why I’d be very reluctant to ever move away and I love the people. You shop at Leeds’ Victoria Quarter? VQ is the first destination for me when I go shopping, particularly for an event. Sometimes I look at things that can be expensive, but it’s high class. The people that work at VQ always make you feel relaxed and they’re not at all haughty. You can walk into Harvey Nichols and be anybody from any background and they treat you well. I also get a lot of my shirts from Reiss on County Arcade. James Michelsberg, the tailor at VQ was spot on from our very first meeting. He didn’t know what I did and I explained that I needed a suit making at short notice for the Harry Potter and the Deathly Hallows: Part 2 premiere in London. He certainly came up with the goods. My shoes for the premiere came from Church’s. That was a really interesting and enjoyable shopping experience, as I got to find out a lot of the science behind shoe making. Style? (Laughs) I don’t know really. Actually, I do like a suit to be classic, I love that ‘Boardwalk Empire’ style from the 1920s. If you’re wearing a suit I think you have to wear it properly, with the button done up, the trousers high and for it to be sharp and crisp. Then for leisure, I’m the complete opposite in trainers, jeans and a t-shirt, so as normal and relaxed as possible. After the last Harry Potter premiere at the beginning of the summer, your style dominated the headlines. 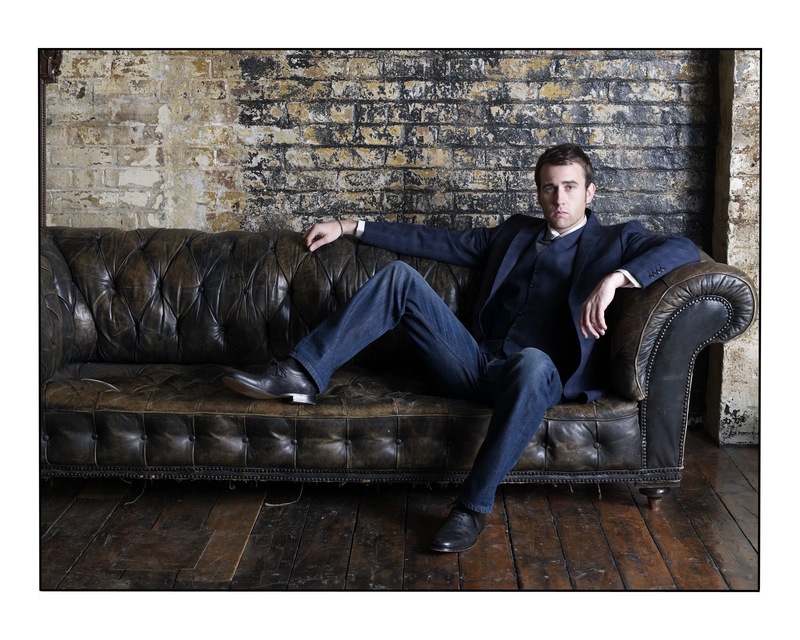 The Daily Mail said “Geeky Neville To Red Carpet Hunk”, you were voted one of GQ’s most stylish men and Instyle magazine tipped you as perhaps the next Bond? Wow, I never thought I’d hear that next to my name. I was conscious that I wanted to show, for my career, that I’m not just Neville Longbottom. I’m so ready to work at something new, but I really did not expect such lovely comments. You do feel very exposed and I’m not in the business for that. I’m in it because I love acting. What if the part of Bond did come your way? Of course everyone would kill for the Bond role, but I think I’d have to work on the accent (laughs). I’d love to play lots of different parts. Action, drama, comedy would all be fantastic but I’m very keen to do a war film. History really interests me and there are so many heroic war stories out there that haven’t as yet been told, that people really need to know about. This year, after all the Harry Potter films you then appeared in the Agatha Christie touring play Verdict. How did it go? I hated doing Verdict at first. It was so different to film and TV. You really need to project the voice all the time and I just didn’t enjoy it initially. Then the theatre company helped me and I eventually ‘got it’. I realise now why so many film actors want to go back to theatre and I’m so glad I did it. I learnt so much and in the end it turned out to be a really great experience. Finally……….did you get to keep that very ‘distinct’ cardigan that you wore throughout Harry Potter and the Deathly Hallows: Part 2? I did (laughs), but actually I’m not sure if I’m supposed to have it! Here Comes The Bride….and Groom, at VQ!